Ashridge Great Barn is set on a working farm in the rolling Devon countryside. Nestled in it’s own valley, the barn is completely surrounded by green pastures and a sustainably managed, wildlife friendly woodland. The gardens above the barn include an arboretum planted by the Victorians, a walled garden and a ‘Magic Circle’ ceremony space. 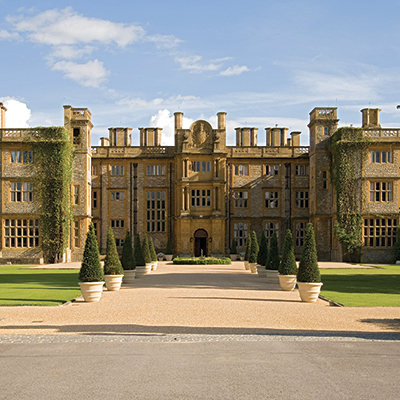 There are many areas available for beautiful photographs, an open air drinks reception or simply to stroll in. Just 5 minutes outside of the town of North Tawton and 15 minutes drive from Dartmoor, the area boasts many lovely bed & breakfasts, hotels and holiday lets. Ashridge Great Barn is a historic building with parts that are around 500 years old. 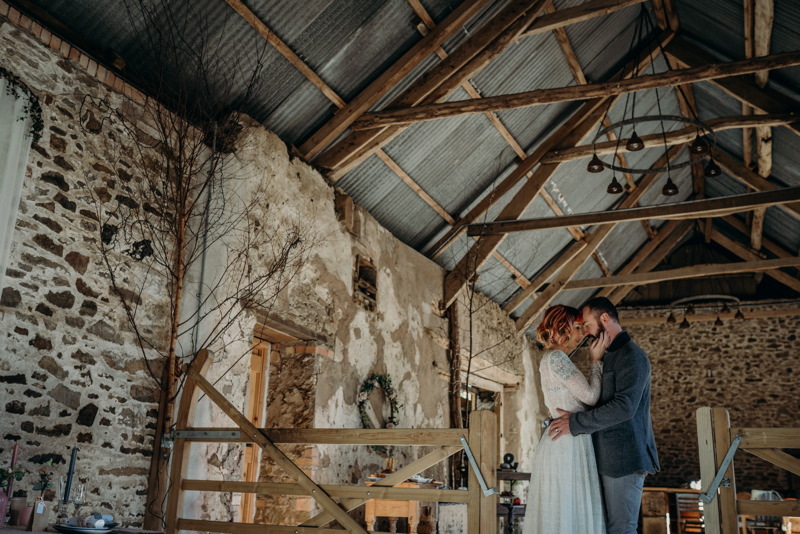 It was previously a grain barn and retains many original features giving the venue a rustic ambience that works well with an elegant, luxury style or bohemian, rustic décor. The barn is only available for exclusive use where a limited number of weddings are held each year. All bookings are for 3 days, giving you a full day to prepare and a full day to pack up so that the entirety of your special day is devoted to enjoying your wedding. The space is split level with a built in dance floor, movable bar and flexible entryways. The Barn features a ‘snug’ area, fire pit (complete with logs), and accessible toilet facilities. 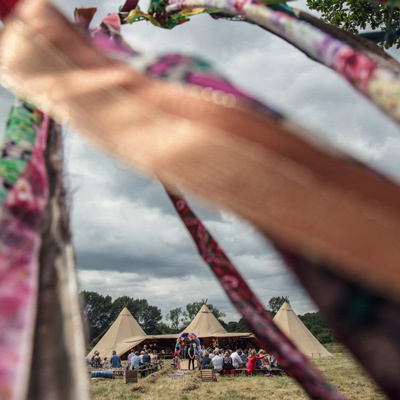 Their car park is close to the Barn and venue hire includes access to their catering kitchen so your caterers have lots of space to prepare their scrumptious delights. It’s important to note they don’t charge corkage! You will have access to their collection of rustic props and their friendly, experienced staff are on hand to help with planning as well as on the day organisation. Special requests are always considered and they love a challenge! 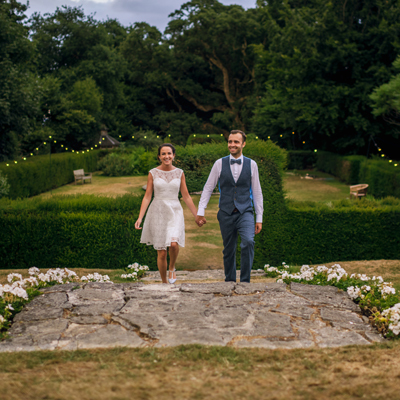 They offer civil ceremonies both in the barn, in their ‘Magic Circle’ ceremony space and in their scenic walled garden. The venue comfortably fits 110 people for a seated wedding breakfast and up to 200 people can be accommodated in total.